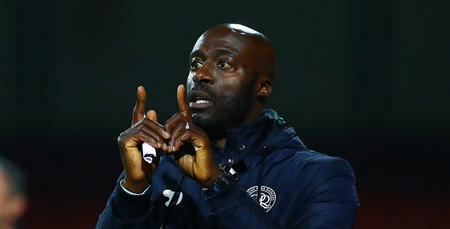 Ian Holloway suffered his first defeat since his return as QPR manager, as his R’s side went down 3-0 at Ipswich Town. A first-half strike from Grant Ward was added to in the second half by goals from Luke Varney and Tom Lawrence. It was a harsh result on Rangers who began the game brightly before the hosts took the lead with their first effort on goal in the 13th minute from Ward. A rare Alex Smithies mistake on 54 minutes allowed Varney the chance to double the Tractor Boys’ lead while Lawrence’s strike from 16 yards on 61 minutes wrapped this match up as a contest. Holloway made two changes from the side that beat Norwich City last weekend, both of which were enforced upon him. Jake Bidwell returned from a two-month lay-off with a dislocated shoulder to replace Jack Robinson, who missed out with a hamstring injury. Karl Henry came into the side at the expense of Massimo Luongo after the Australian did not travel to Suffolk due to illness. It meant the R’s lined up with Alex Smithies between the sticks behind three centre-backs in the shape of Grant Hall, Joel Lynch and Nedum Onuoha. Bidwell operated as a left wingback with James Perch doing likewise on the right. Jordan Cousins joined Henry in the centre of the park with Tjaronn Chery continuing in his No. 10 role behind Seb Polter and Conor Washington in attack. Mick McCarthy made three changes from the team that lost 2-0 to Nottingham Forest at Portman Road last weekend, with Adam Webster, Jonathan Douglas and Luke Varney coming in at the expense of Josh Emmanuel, Teddy Bishop and Freddie Sears. 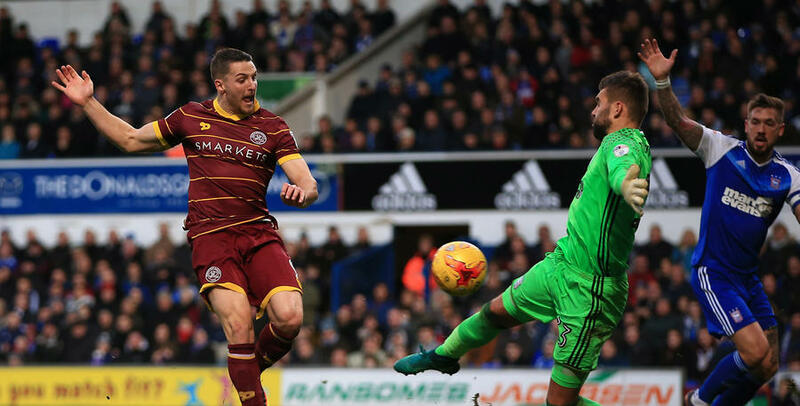 QPR created the opening chance of the game in the second minute when Lynch’s cross from the left was punched clear by Ipswich keeper Bartosz Bialkowski into the path of Chery, but the Dutchman’s shot from 25 yards flew over the crossbar. But it was the hosts who took the lead in the 13th minute through Grant Ward. A free-kick from the left was dangerously delivered into the R’s box, which Smithies did well to punch clear. His clearance landed to Ward, whose first shot from 16 yards was blocked by Washington, but it fell back into the path of the Ipswich man and he rifled his second effort into the far corner of the QPR net. In the 18th minute, the R’s had a chance to level when Chery broke clear down the right. His delivery into the centre found Washington, but the R’s striker was unable to get his shot away under the close attentions of Webster. On 27 minutes, Polter created some space before finding Chery who saw his 30-yard effort fly over the bar. The R’s were certainly enjoying sustained periods of possession as they looked to get themselves back on level terms before the break. But it was the hosts who almost doubled the lead in the 30th minute when Tom Lawrence’s free-kick from the right was met by Christophe Berra, but his diving header from eight yards out flew wide of Smithies’ post. Washington went so close to levelling matters just five minutes later, however. After a great forward run by Hall, the centre-back picked out the R’s number nine in the box, and the striker brought the ball down on his chest before firing goalwards, but Bialkowski spread himself well to pull off a great save. 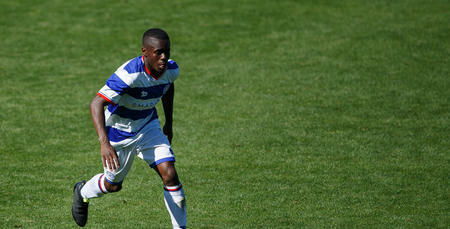 A minute later and it was the turn of Onuoha to have a go, after great work by Henry to find him. The R’s skipper’s effort from 20 yards was comfortably gathered by the Town keeper, however. Ipswich took their lead into the interval, but Rangers will have been buoyed by the opportunities they had created in the opening 45 minutes, while disappointed to concede from a set-piece. 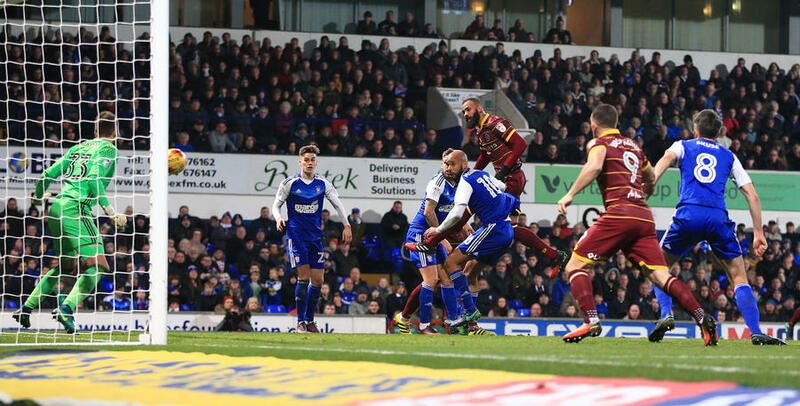 In the second half, Cousins warmed the palms of Bialkowski in the 48th minute with a shot from distance but on 54 minutes Ipswich doubled their lead following an uncharacteristic error from Smithies. As he came out of his area to cut out a long ball over the top, the R’s stopper got his header all wrong, allowing Luke Varney the opportunity to roll the ball into the unguarded net. It was harsh on Rangers who had looked very-much in this game, but the second goal only served to give the hosts added confidence, while lifting the Portman Road crowd. Holloway made a double change in the 59th minute, bringing Sandro and Idrissa Sylla on for Perch and Polter. 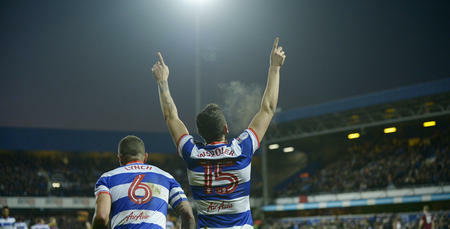 But it was Ipswich who would score again, this time Lawrence firing home from 16 yards beyond Smithies to make it 3-0. Chery almost pulled one back for the R’s in the 66th minute following a lovely set-up from Sylla, but the Dutchman’s fierce drive was well saved by Bialkowski. Holloway then made his third and final move from the bench, bringing on Yeni Ngbakoto at the expense of Cousins. As the R’s desperately tried to get themselves back into this game, they came close through Sandro on 76 minutes when the Brazilian headed Chery’s corner from the right against the post with Bialkowski beaten. David MgGoldrick almost added a fourth for Ipswich with just under ten minutes remaining, but saw his drive from a tight angle brilliantly tipped wide by Smithies, while the R’s stopper was also on hand to deny Grant Ward moments later. In injury time, Smithies was again able to thwart McGoldrick who attempted an audacious chip when clean through on goal, while Ngbakoto saw his free-kick saved. It was certainly a frustrating afternoon for the R’s, who enjoyed sustained periods of pressure during this game but were unable to convert the chances when they did fall their way. THE main moments from QPR's trip to Ipswich Town's Portman Road are now available to watch.